Germany is the land of traditional music, enthralling sculptures and beautiful language. It is the country of many dreams. Comparatively to their European counterparts, Germany is inexpensive. The price of living is affordable. If you are a bit skeptical about your next vacationing spot, then Germany is definitely the place to be. Every year, people with love for great wine, music, art and architectural brilliance head out to Germany to spend their vacations. Apart from all the exotic fantasies it has to offer, Germany is the country that boasts the true spirit of great sports like boating, skiing, fishing and hunting. Due to the difference of culture and tradition, Germans are not very informal. So if you come across any, make sure you at least be friends with them before trying to be informal. But over all they are very loving and hospitality is like their second nature. Also, if you are in Germany then you might as well develop a taste for bread and bakery confectionaries. Germans love bread and baking and they are extremely good at it. They devour breads with all most all the meals. Germany has an abundance of museums, theaters, galleries and orchestra that a true appreciator of art would never want to miss. And to explore all the artistry and charm you might want to explore it all by yourself. How convenient would it be to have a car in a foreign country? The cars in Germany are a tad bit compact but comfortable. Renting a car on arrival or from the local dealer will be a good idea since the car renting business in Germany is good. This allows you to have good idea about the comparative pricing before signing out the deal. Renting a car in Germany is not as difficult as it seems most of the people prefer to book online with the US car dealers in advance so they get charged in dollars. However, this will not be the most economical idea if compared with the options and prices available with the local car dealers. We do recommend to rent a car online before you arrive in Germany, not only for the convenience, but also because it is cheaper. A few companies that we can recommend include www.europcar.com, www.avis.com, www.enterprise.com and www.hertz.com. For anyone in Germany is it tourists or the resident’s have to be 18 years of age to be able to drive in Germany. Even for renting a car the minimum age limit is 18 years unlike US. The cars in Germany are mostly hand-operated. If you want to have an automatic drive, you must mention it beforehand to your car dealer. Prices of renting a car in Germany are nominal. All you have to do is keep your car out of trouble and you will not have to pay extra bucks. Also always take pictures of your ride before leaving the car dealer’s outlet and take some more before returning it to the dealer to ensure that you have returned in the exact same condition as it was in. However the price of renting a car in Germany depends upon many conditions like the built of the car the size and the make. Most of the people would want to go for the BMW then it will be charged higher if you go for the smaller cars with local make then it will cost you less. But the car renting prices starts from €126. Fuel policy in Germany is almost the same that you will find anywhere else in the world; Full/Full tank policy and Full/Empty tank policy. There is no specific fuel policy imposed by the country. Just the fuel prices are controlled and monitored by the country. Other than that charges of the fuel policy depends on your dealer. Here the car dealers charge you for the fuel and give you a full tank. The amount of the remaining fuel in the tank will not be refunded. This is comparatively good policy. 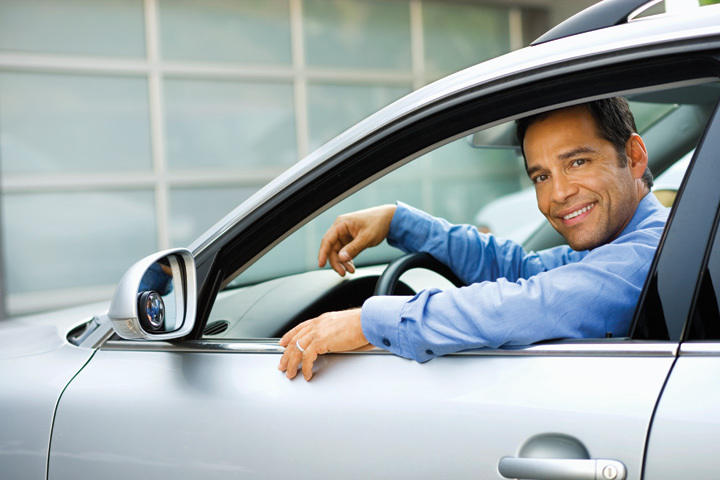 You only have to return the car with a full tank when you return the tank to your car dealer. You will not be charged by your dealer for the fuel. Being the popular and the most visited tourist destination Germany is the hub of tourism. Every year thousands of students move to Germany for education and million’s of tourist comes to Germany to explore the great country. Germany is a fast paced country and its residents love to drive fast, like there is no tomorrow. The driving rules and regulations are a bit relaxed compared to the other European countries. Apart from that the driving and road rules and regulations are pretty much the same. Although it is known that in Germany they have many areas and roads exempted from speed limit. However, even then nothing serious or appalling has occurred over the years. If there is no sign board, the driver on the right has the propriety to go first. Driving is towards the right in Germany as well. Like any other European country. Whether you are a tourist or the resident of the country, it is must for every driver to carry his/her passport, driving license and in some cases the papers of their vehicles. Your vehicle should have a green stamp on it in case of the green-zones. Not all roads are exempted from speed limits, if you are not sure. It is best if you drive at a regular speed of 130 Km/h. Use of mobile phones is strictly prohibited. However, you can take the call with hands free. Penalties and fines will be administrated by the local police for inconsequential offences in Germany. The fines are collected in both ways either by cash or by Debit or Credit cards. In Germany there are few insignificant offences that might be deemed criminal or categorize you as a felon. For instance hit and run case and drunk driving. Germany also has the point system to categorize the drivers. In case of inconsequential offences the score will be wiped out from your track record in a matter of 2-3 years. But for serious offences it can take as long as 7-10 years. If you score more than 18 points your driving license will be confiscated permanently. For speeding in the urban/downtown areas you can be fined up to €680, 1-4 driving points and in some cases man on driving for a couple of months. In Germany, they have speedometers to gauge your speed. For speed driving In Rural/out of station routes you can be fined up to €600, 1-4 driving points and a ban of up to 3 months.